NEW! 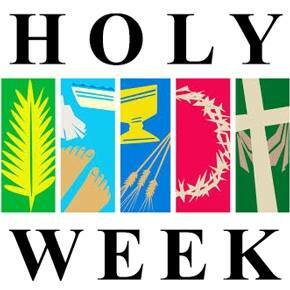 Download 2019 Lenten devotions from Outreach for Hope. We're on Facebook! If you have a Facebook account, click here to go to Trinity's group page and request to join, and click here to request to join the Mutual Ministry group page. 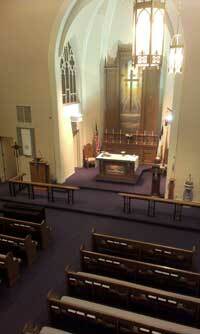 We as members of Trinity Lutheran Church would like to extend to you a heartfelt welcome. We invite you to gather with us for the enrichment and strengthening of our faith in God. If you are a longtime Christian or are just beginning to seek a relationship with Jesus Christ, then we welcome you to join us as we endeavor to deepen our relationship to God and his Son Jesus Christ. Rooted in the Gospel, we meet together on a weekly basis for worship, Christian education, prayer, ministry, and the celebration of life in Jesus Christ. Trinity is a community of people, guided by the Holy Spirit, who cares deeply for each other and is committed to serving people in the community and in the world. Our mission statement is: Through the power of the Holy Spirit, we will share the story of God's love, forgiveness, and grace, and be faithful to God's Word and Commandments. 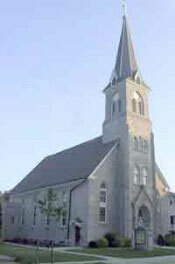 Established in 1843, Trinity is a member of the Evangelical Lutheran Church in America (ELCA), and currently has around 275 baptized members. Breakfast will be shared between services on Easter Sunday morning. Holy Communion is offered at every Saturday and Sunday service, and every Sunday service includes a children's sermon. Please feel free to call or email the church office with any questions (262-377-0610, office@trinitycedarburg.org) or you can contact Pastor Brent Halverson at pastorbrenttlc@gmail.com. We appreciate your interest in Trinity, and hope you'll have the opportunity to visit us again. God's blessings on your journey!